Tuna is one of Malta's favourites among consumers, with the canned variety topping most products sold at a supermarket. That tuna is such a popular menu item in our kitchens is good news for the Maltese, because tuna is a very good source of protein and omega-3s while it is also low-calorie and low-sugar. Better still, it is children-friendly and the nourishment from tuna helps their brain development. 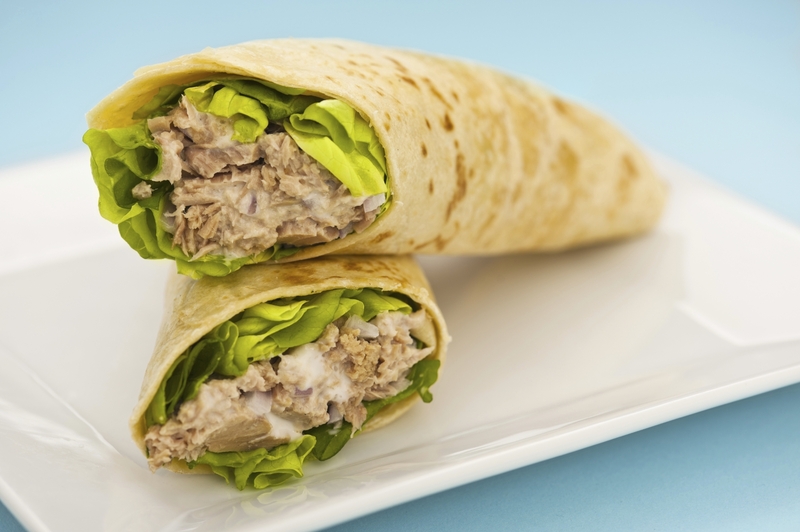 This recipe shows you how you can use tuna in more interesting and delicious snack varieties than just the traditional ħobż biż-żejt. Place the tortilla on a plate and layer tuna in the center. Add sliced tomatoes, red onions, zucchini and cucumber. Spoon on the artichoke spread and finish with mixed greens. To roll, fold in both sides and roll away from you to form a burrito.